First things first… can we just stop + appreciate we have successfully made it to the end of this year in one piece! Nothing but thanks and deep gratitude to the Most High for getting us through this year, because Lord knows this year was something else! We would be lying if we said this year was filled with nothing but rainbow and butterflies for us. There is no denying 2017 has been one of the most intense, transformational, uncomfortable and testing year for many of us. We all have had weak foundations crumble, felt true releasing of the past, shift into the new and finally step into our power. 2017 was filled with beautiful blessings, celebrations and love. We had some extraordinary experiences with some of the most extraordinary people who created spaces that allowed us to explore and reflect on the role(s) Crowned Curls plays on a micro and macro scale. We’re grateful for it all. The following are the top moments/stories from 2017; there is no real order, just what was most memorable to us. 1. A Curly Affair Launch Party! Crowned Curls and Curls on the Block linked up to kick off 2017 with our ‘A Curly Affair Launch Party!’ Our launch party gave Denver’s natural hair community a space to celebrate their God-given crowns, laugh, network + get the tea on some dope upcoming curly events! 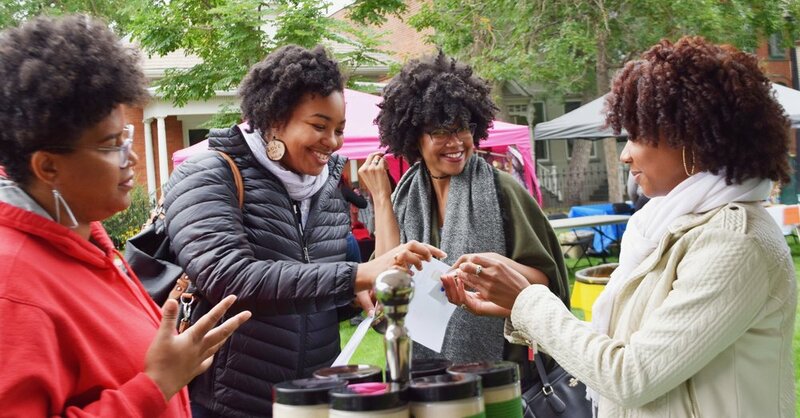 Denver’s natural hair community came out and showed out that night! We were honored to have the lovely Malyia McNaughton of Made by Malyia be our hostess for the evening, be interviewed by Toni Fayne, Kenneth Smith + DJ Z-Rok of Your Colfax News and we even had our own backdrop for our photo booth! The space was filled with nothing but music, food, stories and authentic connections; it was truly beautiful and we’re excited to do it again! 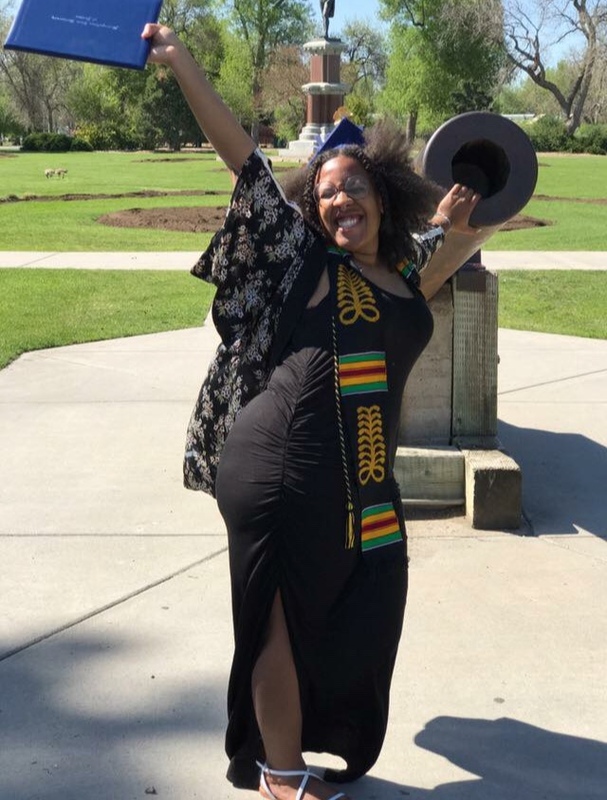 Huge congrats and best wishes to our founder, Yazz for graduating with her B.A. in Supporting High Risk Youth Through the Arts this past May! We’re proud of you and love you to the moon and back! In true Colorado Fall fashion, Mother Nature had us out in the cold and the rain for this years #CrunkCurlsFestival but nonetheless it was amazing! We had vendors from all over Colorado come out with their dope products, created + rocked flower crowns, danced the day away, laughed our hearts out and just celebrated each other. Thank you for all those that came out + supported us this year! We’re ready for next year! 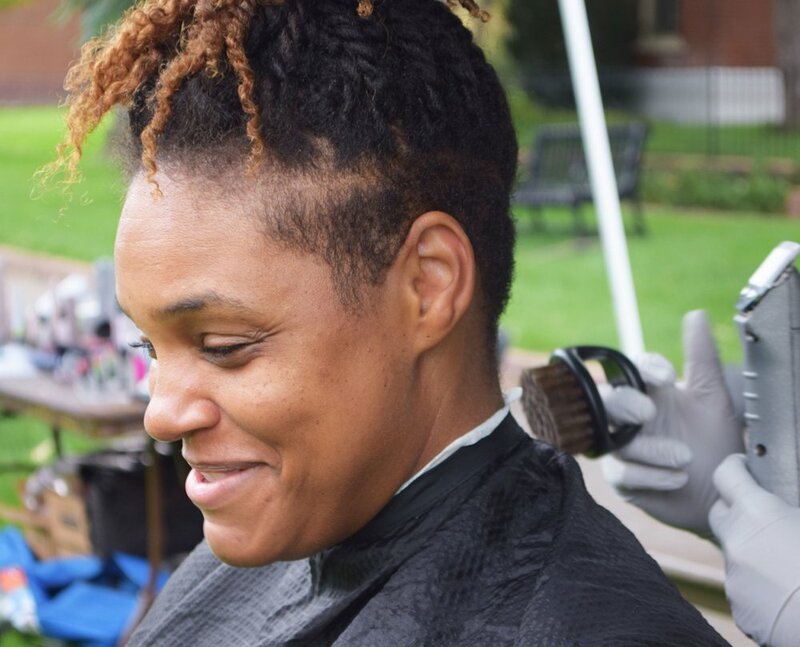 For those who may not know what this Crunk Curls Festival is all about, it’s a festival that connects our communities of color to the multicultural beauty market, local businesses, cosmetologist, bloggers, and health and wellness professionals. It's a festival that we hope we will continue to create a community amongst our women of color that engages in love, self-care, healing and celebration of sisterhood! 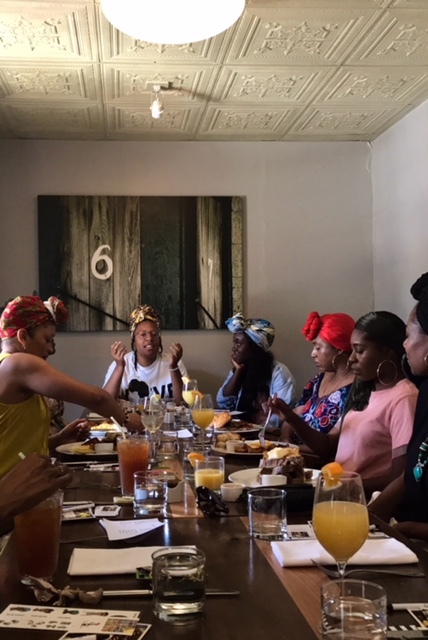 We had the privilege to work with Tiffany Boyd, founder of BeAfrica, Sri Ali and Tiffany Davis for our first ever Curls + Brunch events! The women we’ve been able to meet have truly changed our lives and continue to make our hearts smile! There is something about eating a great meal with black women that brings so much love, healing, blessings and magic! We’re excited to do many more Curls + Brunches in 2018! 4. Miss Curly Self-eSTEAM Pageant! 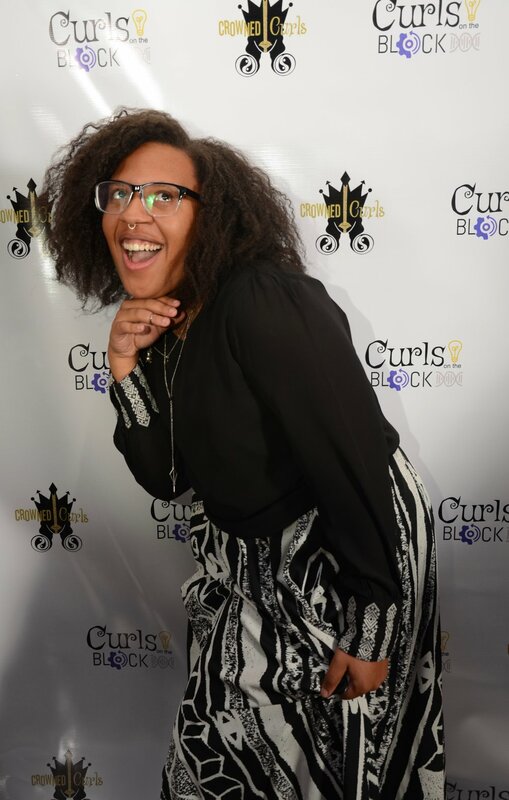 We had the amazing opportunity of being a part of Curls on the Block's first every 'Miss Curly Self-eSTEAM Pageant'! Curls on the Block is an enrichment program for girls of all curls and colors to embrace, explore and empower their natural selves while working to increase engagement, investment, and commitment to careers in science, technology, engineering, art, and math (STEAM). This years 'Miss Curly Self-eSTEAM Pageant' focused on creating a space that allows black girls and women to tap in and explore Cultural APPRECIATION, Healthy and active lifestyles, STEAM (science tech engineering art math) awareness and share ideas/products/services addressing the needs of the curly hair community! It was such an honor to be a part of this and we are excited for next year! Our founder Yazz, had the opportunity to attend her very first Essence Fest this year and she absolutely loved it! We plan on bringing the whole crew and then some one of these years! We are so blessed & honored to have made it through our second year! Thank you to all the sponsors in 2017-2018! We're finally finding our place and role(s)! Thank you all for such an amazing year and we will see you lovelies in 2018!